When You Can't Avoid Stress, How Well Do You Manage It? Stress is intimately connected to autoimmune expression. 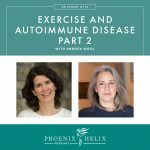 Many of you have experienced this yourself, when a high-stress situation kicked off an autoimmune flare – or even an autoimmune diagnosis. While we can take steps to strive for a lower-stress life, the truth is that part of life is experiencing tough times. Whether it's aging parents, troubled teens, the loss of a job, the loss of a relationship, the death of someone we love, or our own autoimmune struggles, we can’t avoid stress altogether. So, that means we need to have tools to manage that stress so that it doesn’t negatively impact our health. That’s what today’s show is all about. 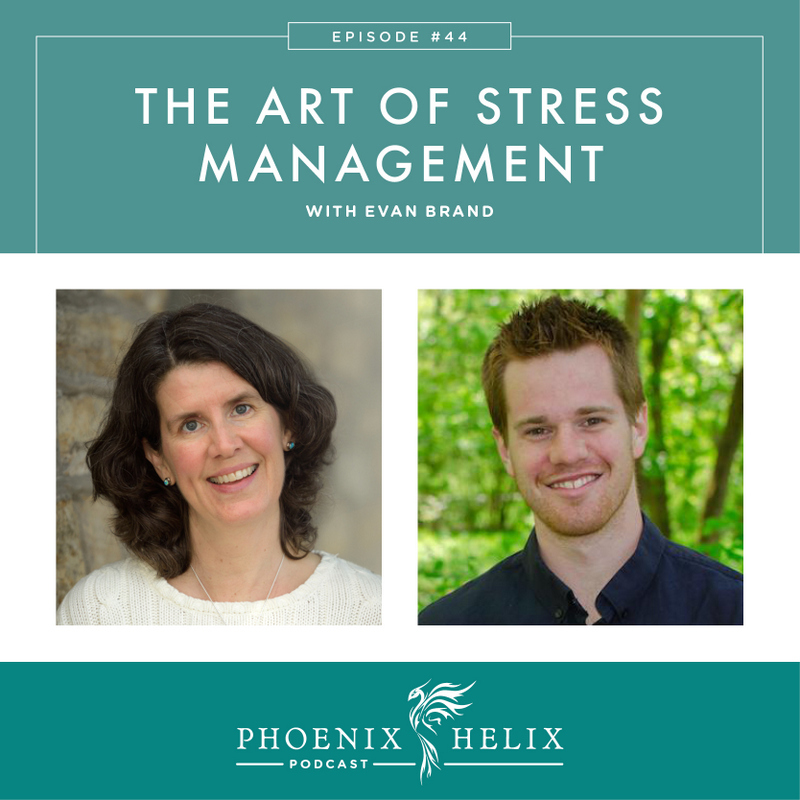 Evan Brand is a functional medicine practitioner and the author of the book, Stress Solutions. He's here to teach us how to take care of ourselves through the ups and downs of living. 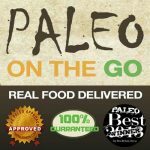 The prize was a paperback copy of my book, A Simple Guide to the Paleo Autoimmune Protocol. And the winners were chosen on 5/21/16: Michyjeanne and cshartle (iTunes reviewer names). Thanks for playing, everyone! if you didn't win, no worries, you can buy a copy of my book through Amazon.com or The Book Depository. In addition to “a la carte” ordering, they also have monthly meal plans. He's a functional medicine practitioner and nutritional therapist, working with people around the world via Skype. He is the author of 3 books: REM Rehab, Stress Solutions and The Everything Guide to Nootropics. His health was at its worst in college, when he didn't have any knowledge about the power of diet and lifestyle on health. He was in class full-time during the day and worked the overnight shift to pay for college. High stress, low sleep and poor diet culminated in serious irritable bowel symptoms (IBS), depression, exhaustion and brain fog. A conventional doctor gave him 3 prescriptions but no answers, so he started researching on his own. He went gluten-free first which improved his symptoms enough to inspire him to learn more, and eventually his learning led to a new career. Now, he follows a personalized AIP diet, and his IBS is completely gone, he has high energy, an optimistic view of life, and his brain fog is 95% improved. He is currently treating a parasite infection which he hopes will eliminate the small symptoms remaining. Chronic stress affects our bodies on multiple levels, and sometimes we aren't even aware of it. Cortisol is the stress hormone, and it's a natural part of our body, with a natural rhythm that's meant to be high in the morning, low before bed, and only have spikes during the day if we're in danger. Chronic stress releases more and more of this hormone, throwing off both the rhythm and our reserves. This has negative ramifications bodywide. Effect on Brain: Our amygdala (the fear center) actually increases in size and becomes hypersensitive, making us more prone to panic. The hippocampus (memory center) is degraded by high cortisol levels, making us more forgetful. And there is less blood flow to the prefrontal cortex, reducing our empathy and our ability to think clearly and creatively. Effect on Digestion: Circulation is continually shifted away from our digestive organs, leading to poor gut health. Effect on Organs: The adrenals become depleted, the pancreas has trouble controlling blood sugar, and the liver becomes overworked and is unable to detoxify optimally. Evan leads us through a guided deep breathing exercise. Emotional – Grief, anger, anxiety, annoyance, negativity, etc. Physical – Autoimmune disease symptoms. too much or too little exercise, trauma, gut infections, etc. Spiritual – Feeling alone and disconnected. Technology – The more time we spend looking at screens and the less time we spend in nature and connecting with people in real life, the more illness increases. Nutritional – Blood sugar imbalances, nutrient deficiencies, food sensitivities, etc. Evan recommends using a glucometer to become familiar with your own blood sugar trends and focus on nutrient-dense food choices rather than desserts. These techniques shift our body into a parasympathetic state. The more we do this, the more it will help our bodies heal, and the less we will be negatively impacted by the stress in our lives. Work with a practitioner to find the most helpful supplements for you. Some of Evan's favorite relaxation herbs are: passionflower, chamomile, valerian root. His favorite adaptogen (to help you adapt to stress) is rhodiola rosea. Take a day off from the internet. Eileen takes at least one day offline every week, and Evan takes the weekends offline. Deep breathing & meditation. 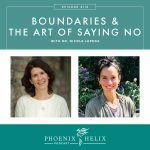 Listen to Episode 37: Meditation Healing Stories to learn a variety of ways to do both. Lay down for 10 minutes twice a day. This isn't napping. It simply shifts your body into a relaxation state. Resource: 101 Ways to Treat Yourself That Have Nothing to Do with Food. While a lot of our stress is beyond our control, there are times in life when we know we need to make a big change, but it's hard to co. 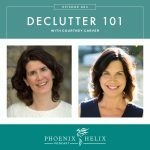 It might be leaving a stressful job or ending a toxic relationship or something else altogether. Evan's advice is to restore your body first – though optimal nutrition, lab tests to determine adrenal health, supplements as needed, and the stress management techniques we discussed today. Once you begin to feel better, you will have more energy, more hope and more strength to make the changes necessary to continue to improve your life. You can follow Evan through his website and podcast. He is accepting new clients and works with people around the world via Skype. And his gift for new email subscribers is the ebook version of his book, Stress Solutions.